Home / Conventions / Comic Con Roundup! Amazon Prime Announces Panels! Signings! Offsites! And More! The Tick! Nicko and The Sword of Light! 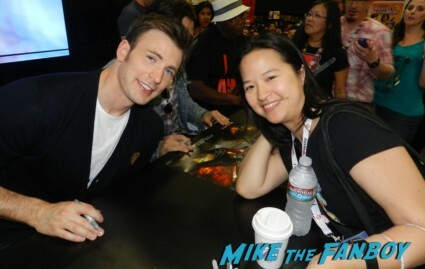 Comic Con Roundup! Amazon Prime Announces Panels! Signings! Offsites! And More! The Tick! Nicko and The Sword of Light! Amazon Prime Video’s lineup for Comic-Con International in San Diego, featuring the Amazon Original Series The Tick and kids series Danger & Eggs and Niko and the Sword of Light. In addition to cast and creator panels, autograph signings and sneak peeks at all three series (complete schedule below), Amazon is creating an immersive Tick experience for Con attendees. 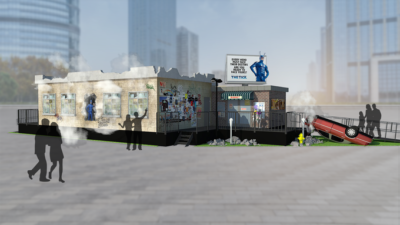 “Citizens” will have the opportunity to immerse themselves in world of The Tick at Amazon Prime Video’s Tick Takeover, a movie set level design experience positioned directly across from the San Diego Convention Center on MLK Promenade (on the corner of 1st and J streets). 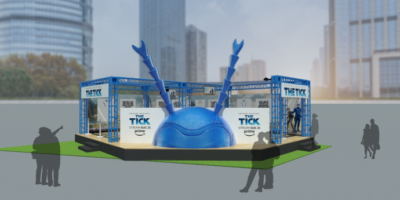 With fully built out buildings from “The City,” a twenty-foot tall animatronic Tick head, and “Easter eggs” harkening back to the show, The Tick Takeover is poised to give fans the journey of a lifetime. Additional details include a unique queueing experience, challenge-based scavenger hunt and the Amazon Prime Member Lounge. In addition to the activation, Con attendees will be able to call upon the #TeamTick street team for help when they are in a bind. Need help with that selfie? Have a painful blister? Have no fear… Team Tick is here! In true Tick form, Team Tick will be taking to the streets of San Diego helping the helpless and defending the defenseless. Citizens seeking assistance from the street team need only flag down a member of Team Tick, adorned with blue antenna, to get help. MLK Promenade (corner of 1st and J streets). Wondercon Roundup! DC Entertainment Releases Their List Of Talent Signings! Comic Con Panel Announcements! 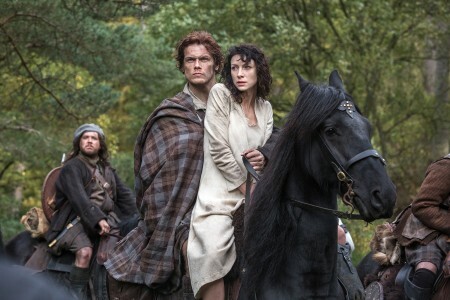 Outlander Panel! Bates Motel! The Witches Of East End! Convention Spotlight! Sac Toy Con! Scottish Rite Center! March 26! Morgan Lofting!